S. Namiki and H. Momma together with Prof. Kato and Dr. Nagaosa joined workshop for ecology of Kakitagawa River and went to observe and conducted sampling in Kakitagawa River. Students with Prof. Kato and Dr. Nagaosa attended to 2015 JSME annual meeting and 7th JTK symposium. S, Namiki and S, Masuda presented posters. 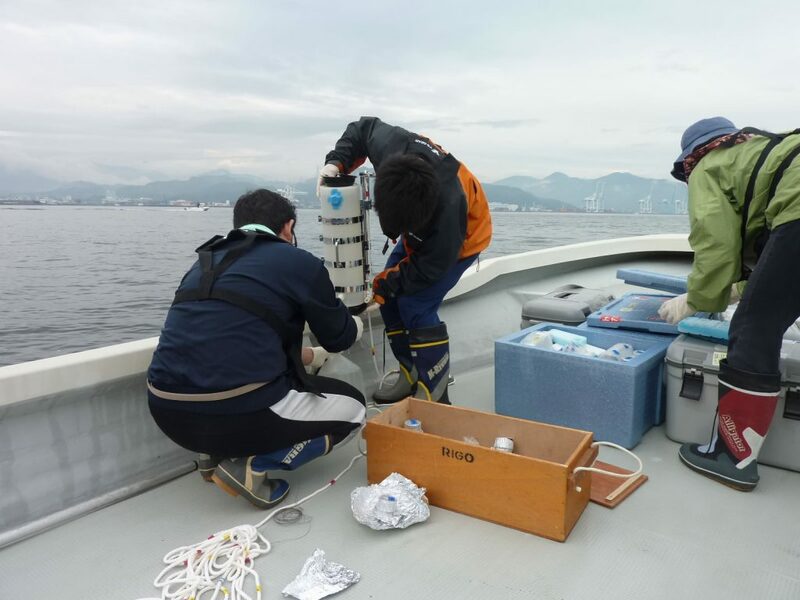 T. Shimeki together with Dr. Nagaosa conducted sampling of seawater in Suruga bay. K. Ohara together with Dr. Nagaosa conducted collecting of rain water and sampling of spring water at the foot of Mt. Fuji. Dr. Nagaosa attended to The 80th Conference of The Japanese Society of Limnology (September 26th -29 th at Hakodate, Hokkaido, Japan) and gave a presentation. K. Ohara, S. Masuda and R. Watanabe together with Dr. Nagaosa and Dr. Tsujimura (University of Tsukuba) conducted collecting of rain water and sampling of spring water and groundwater at the foot of Mt. Fuji. Prof. Kato gave a presentation at 25th Goldschmidt 2015 in Prague, CZ. Kenji Kato, Tsuyumi Furuta, Ayumi Sugiyama,Hiroki Katsumata, Kazuyo Nagaosa, Microbial DNA tells route of groundwater. 25th Goldschmidt 2015 Aug.16-21, Prague, CZ. Pro. Kato went to Czech Republic, Republic of Hungary and Germany on business. K. Ohara together with Prof. Kato and Dr. Tsujimura (University of Tsukuba) conducted collecting of rain water and sampling of spring water at the foot of Mt. Fuji. One undergraduate student, Hiroki Momma is welcomed to Kato laboratory. 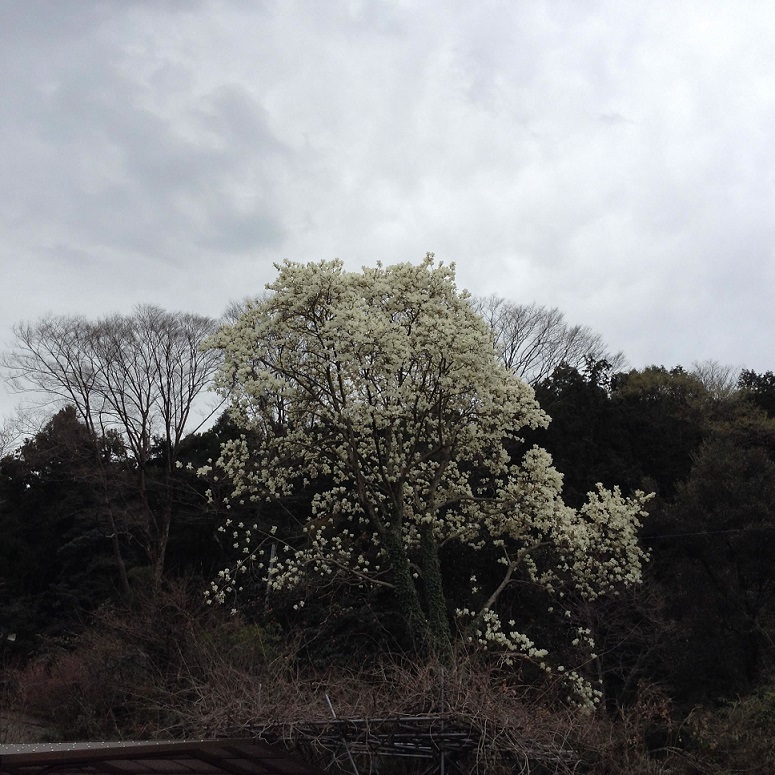 K. Ohara together with Prof. Kato conducted collecting of rain water and sampling of spring water at the foot of Mt. Fuji. K. Ohara, S. Masuda and R. Watanabe together with Dr. Nagaosa conducted collecting of rain water and sampling of spring water and groundwater at the foot of Mt. Fuji. S. Namiki together with Dr. Nagaosa conducted sampling of groundwater at the foot of Mt. Fuji. Prof. Kato went to Russia on business to have reserch meeting and attended a Conference of MODERN PROBLEMS OF GENETICS, RADIOBIOLOGY, RADIOECOLOGY, AND EVOLUTION in Saint-Petersburg to give a presentation. Kenji Kato, Kazuyo Nagaosa, Tamara N. Nazina, Stepan N. Kalmykov, Toshihiko Onuki, Yoshio Takahashi, Satoshi Utsunomiya, Kenji Nanba, Microbial influence on the migration of radionuclide in groundwater; from laboratory experiment and in situ observation. Conference of MODERN PROBLEMS OF GENETICS, RADIOBIOLOGY, RADIOECOLOGY, AND EVOLUTION, Saint-Petersburg, 2-6 June 2015. Pro. Kato attended to Japan Geoscience Union Meeting 2015 (May 24th -28 th at Makuhari, Chiba, Japan) and gave a presentation. S. Namiki and S. Masuda together with Prof. Kato conducted sampling of groundwater at the foot of Mt. Fuji. Dr. Yoshida(Kyoto University) visited our laboratory and gave a lecture for our seminor. A. Sugiyama together with Dr. Nagaosa conducted sampling of rainwater and springwater at the foot of Mt.Fuji. Prof. Kato was invited to International Sosiety on Microbial Ecology. Dao Thi Anh Tuyet, Ayumi Sugiyama and Toshinari Tanaka presented posters. We had a lecture at ‘Kakitagawa summer science school ‘at Shimizu elementary school. The students enjoyed to watch aquatic plant to learn photosynthesis and bacteria with microscope. Four under graduate students; Kazuma Ohara, Takayuki Shimeki, Seiya Higashiyama and Ryouya Watanabe are welcomed to Kato laboratory. 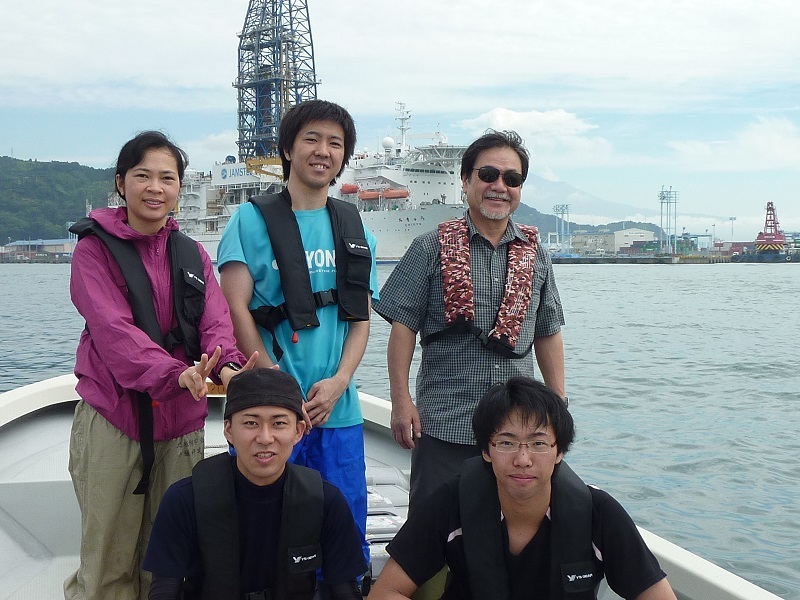 T. Tanaka and Ms. Dao together with Prof. Kato conducted sampling of seawater in Suruga Bay. 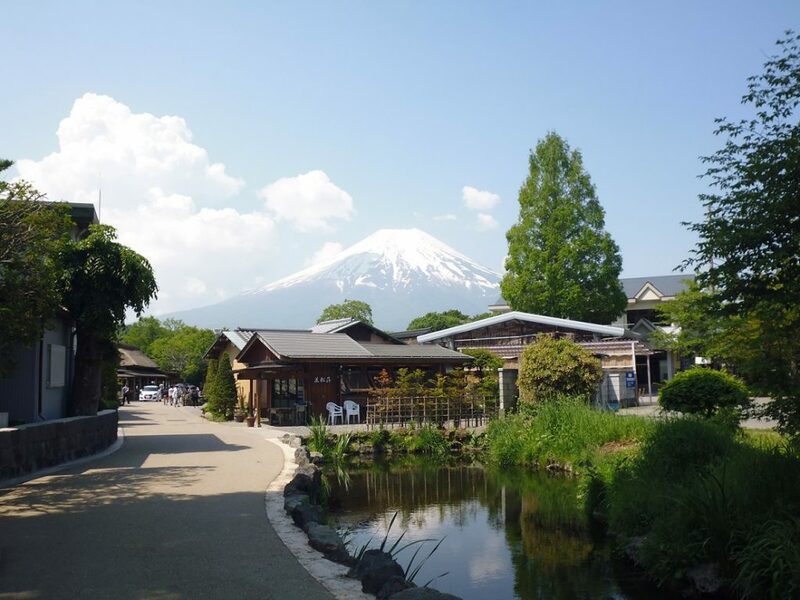 A. Sugiyama together with Dr. Nagaosa conducted sampling of rainwater at the foot of Mt.Fuji. A. Sugiyama, K. Notsuda and S. Masuda together with Prof. Kato joined workshop for ecology of Kakitagawa River and went to observe and conducted sampling at the foot of Mt. Fuji. A. Sugiyama together with Prof. Kato conducted sampling of springwater and rainwater at the foot of Mt.Fuji. K. Notsuda and S. Masuda together with Prof. Kato conducted sampling of groundwater and soil at the foot of My. Fuji. S. Namiki and S. Masuda together with Prof. Kato coducted sampling of muddy sediment at Inogashira Park. Prof. Kato went to Germany on Business. Visited to University of Gottingen and Institute of Ground Water Ecolgy in Munich. 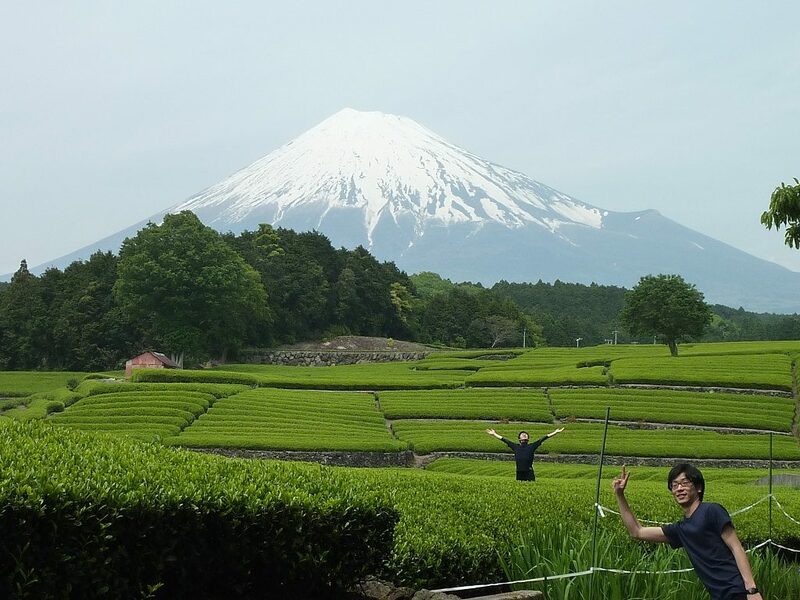 We setted up snow sampling tools at the foot of Mt.Fuji. 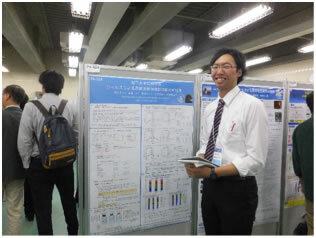 Prof. Kato attended to 29th Japanese Socienty on Microbial Ecology in Kagoshima and presented. Professor Kato delivered the opening speech at 10th Symposium of Kakitagawa River. 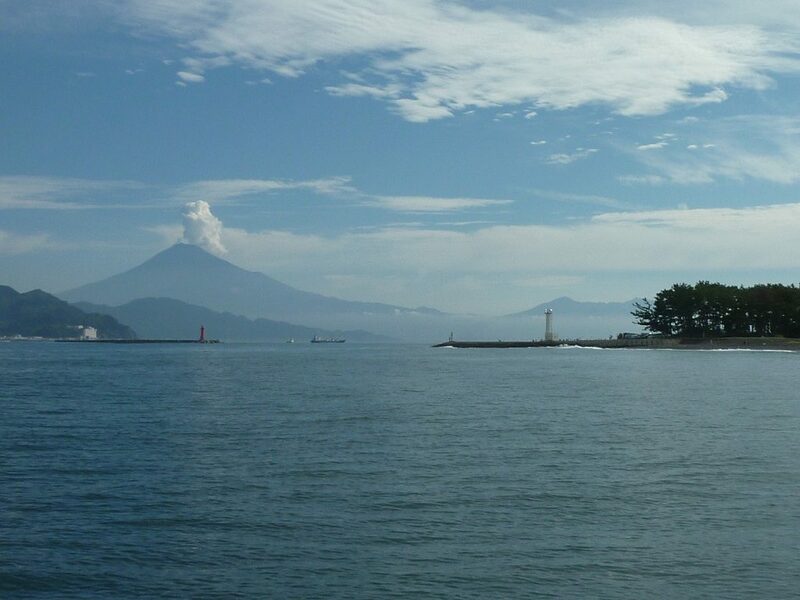 We conducted sampling in Suruga Bay to elucidate viral control of prokaryotic community in relation to global warming. Prof. Kato was invited to 5th Taiwan- Korea-Japan International Symposium on Microbial Ecology in Taipei and Tsuyumi Furuta(M2) and Ayumi Sugiyama(M1) presented posters. Chase the signature of direct impact of rainfall into groundwater in Mt. Fuji. T. Nakamura and M. Takata together with Prof. Kato conducted observation and sampling at tidelamd of Kikugawa River in Shizuoka. Y. Aoshima togehter with Dr. Nagaosa conducted sampling of groundwater at the foot of Mt. Fuji. 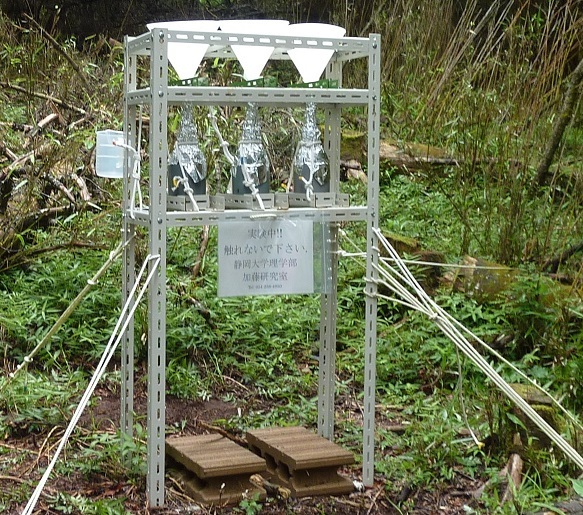 A. Sugiyma together with Prof. Kato conducted sampling of spring water at the foot of Mt. Fuji. Prof.r Kato went to Mt. 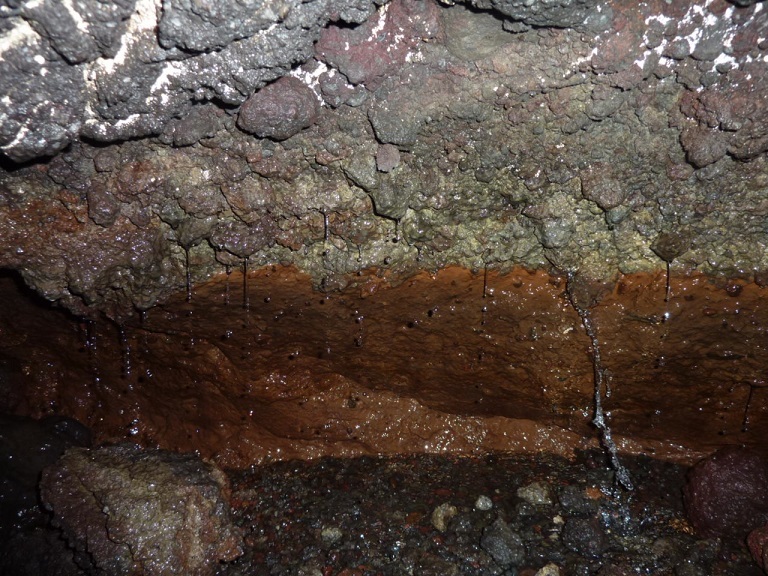 Chokaisan in Akita as a pre-observation of groundwater. A. Sugiyama together with Dr. Nagaosa conducted sampling of springwater and rainwater at the foot of Mt.Fuji. Prof. Kato attemded to Aquatic Microbial Ecology SAME13 in Stresa, Italy and gave a talk on “Denitrification in shallow and deep groundwater, activity diversity of corresponding community and environmental factors” and “Greenhouse effect on the control of population dynamics of microbial communities in coastal water of Suruga bay, Japan through dilution and size fractionation experiment”. Prof. Kato was invited to ‘3rd International Conference on Nitrification( ICoN3)’ at Chuo university in Tokyo. We had a lecture at ‘Kakitagawa summer science school ‘at Shimizu elementary school. Grade 5 students enjoyed to watch aquatic plant to learn photosynthesis and bacteria with microscope. Prof. Kato was invited to ‘Gordon Research Conference Marine Molecular Biology’ as Discussion Leader. 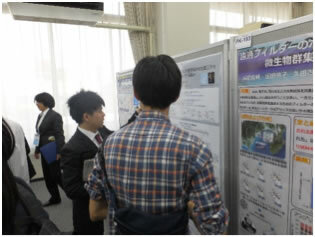 Dao Thi Anh Tuyet and Toshinari Tanaka presented posters. Prof. Kato went to Russia on business to have reserch meeting at Winogradsky Institute of Microbiology RAS in Moscow(TSPS project) and gave alecture at Siberian Federal University. A. Sugiyama together with Dr. Nagaosa conducted sampling of groundwater and rainwater at the foot of Mt.Fuji. Four undergraduate students; Hiroki Katsumata, Keita Namiki, Ken Notsuda and Suguru Masuda are welcomed to Kato laboratory. N. Kobayashi, T. Furuta and T. Tanaka together with Prof. Kato went for sampling of spring waters at Mt. Aso area in Kumamoto and carried out observation at Kaiike Pond in Kamikoshiki Iland, Kumamoto. A. Sugiyama together with Prof. Kato and Dr. Nagaosa went to collect rain water and sampled spring water at the foot of Mt. Fuji. 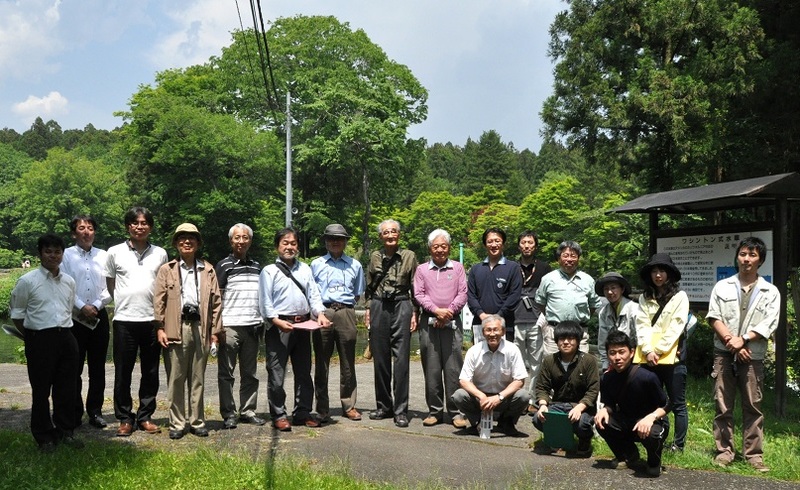 N. Kobayashi and T. Furuta together with Prof. Kato and Dr. Nagaosa went to collectat springwaters at Yoshimaike Pond, Tomisawa and Kakitagawa River. 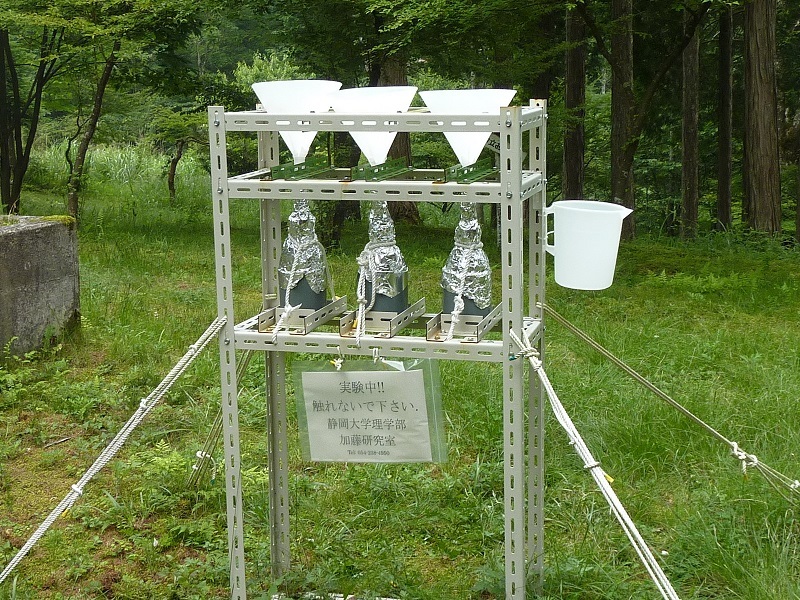 Professor Kato and other students placed a water sampling tool at Mt. Fuji area. A. Sugiyama together with Prof. Kato and Dr. Nagaosa setted up rain sampling tools at the foot of Mt. Fuji. Dr. David Smith NASA J.F.K. Surface Systems Office visited our laboratory and gave a lecture for our seminor. Professor Kato visited Vietnam from 4th to 10th April and gave a seminar talk at the Institute of Marine Environmental and Resources(IMER) on “HOW TO REVEAL MICROBIAL ECOLOGY IN NATURE; A CASE OF DENITRIFICATION”. 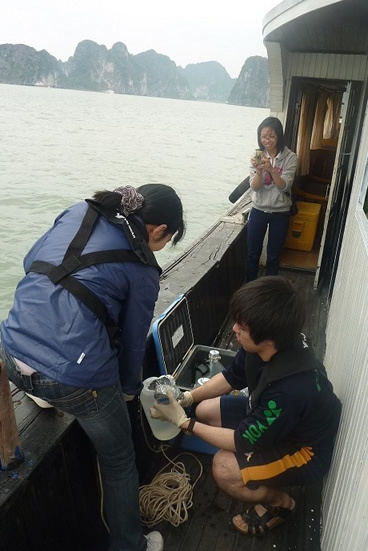 Ms. Dao(D2) and Mr. Tanaka(M1) accompanied with him and they carried out sampling in Halong Bay and incubation experiment was conducted successfully. Edition of section of Microbiology in Dictionary of Biology in Japanese 5th edition (Iwanami Shoten Publishing.). Geomicrobiology Journal, Vol 27, Special Issue: ISSM 2008 Meeting in Shizuoka: Part 1, edited by Prof. Kato has been published by Taylor & Francis.